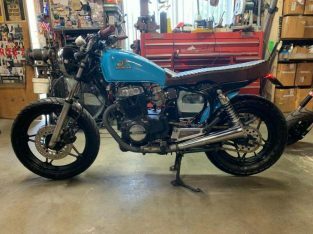 This one of a kind Cafe racer is build on the body of the famous Honda GL 500 (not chain drive but shaft drive and a mono shock frame). 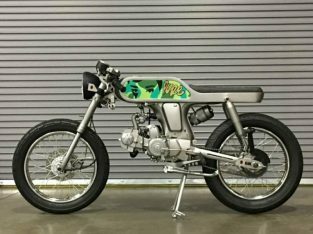 I had the bike built by MOTO PGH in Pittsburg. 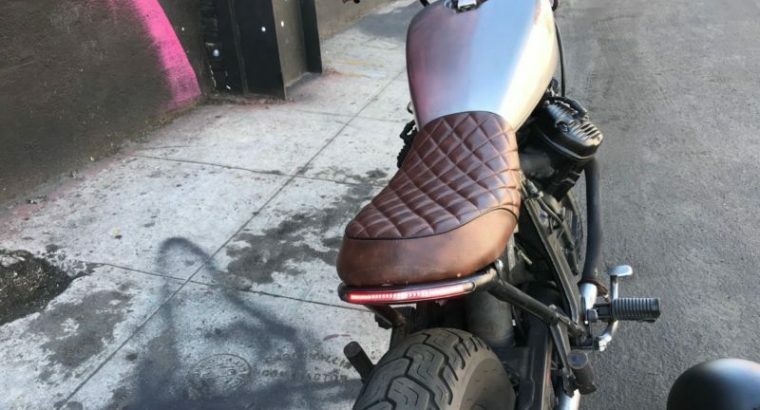 They made it exactly the way I wanted. 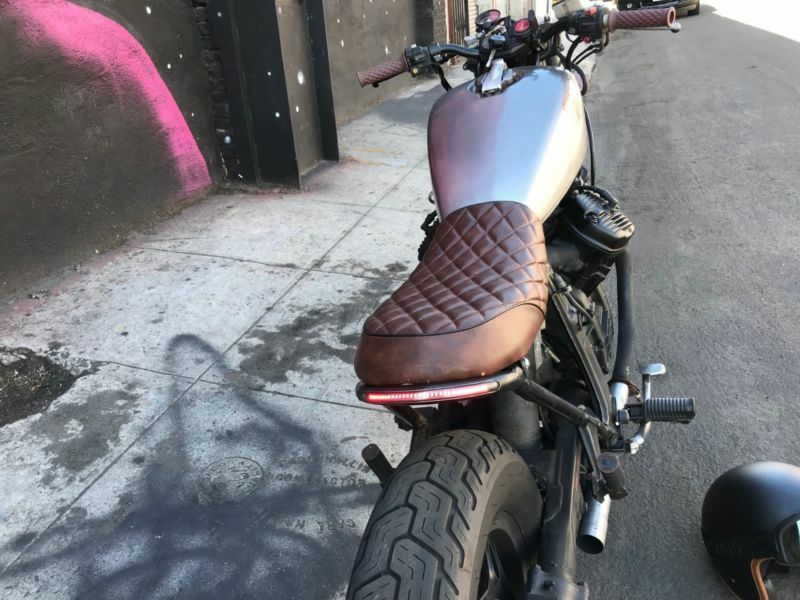 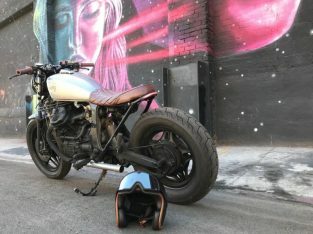 It looks raw just the way a cafe racer is supposed to. 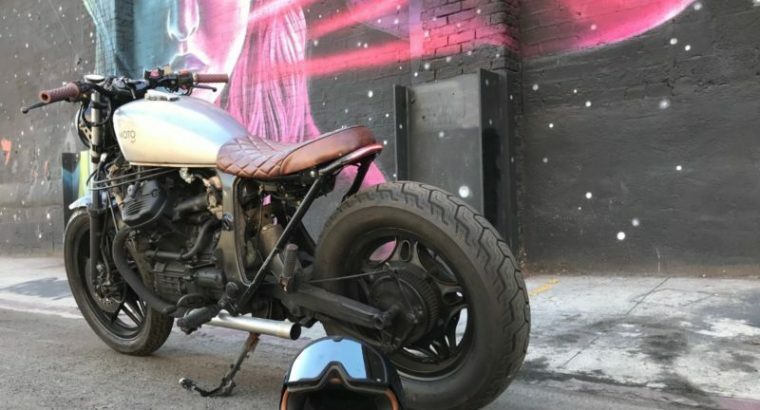 It’s not all neat and tidy like some of the high end cafe racers out there, but that’s exactly what makes this bike a head turner. 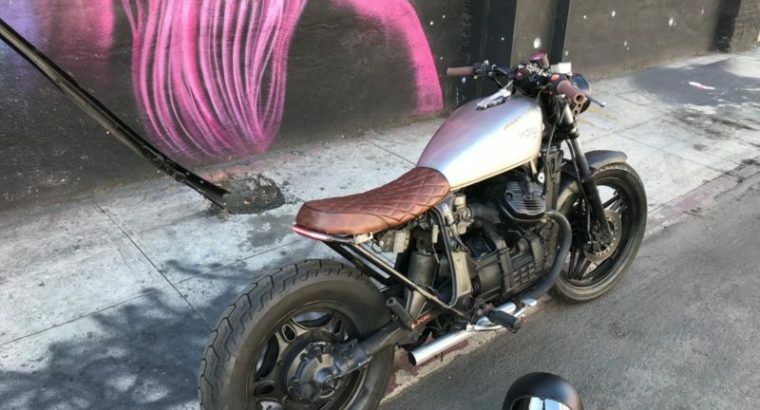 It looks cool and runs absolutely great! 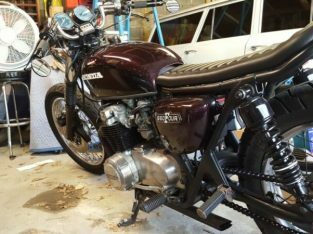 Recently changed the oil so it’s ready to be driven. 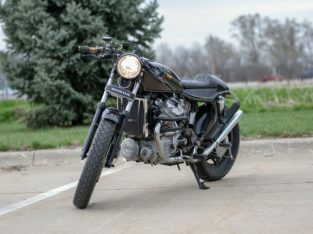 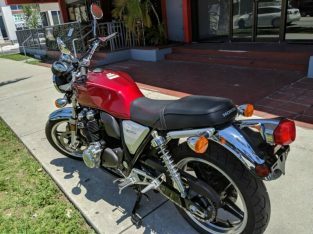 I’m relocating to Europe so I’m selling the bike starting with a low reserve. 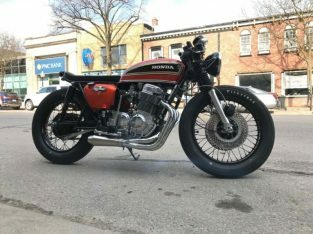 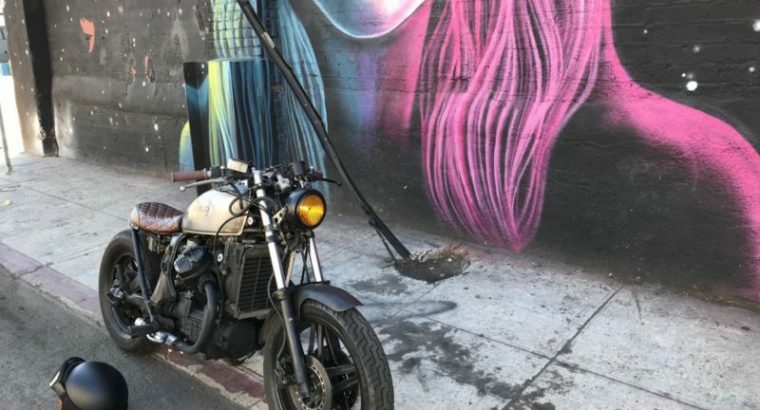 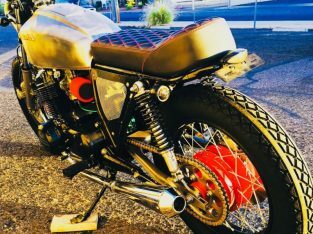 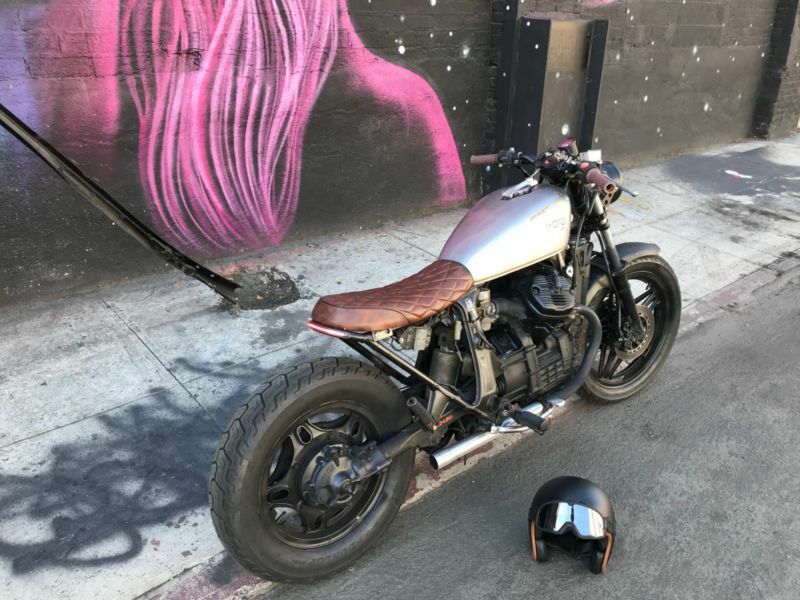 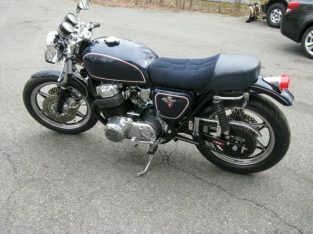 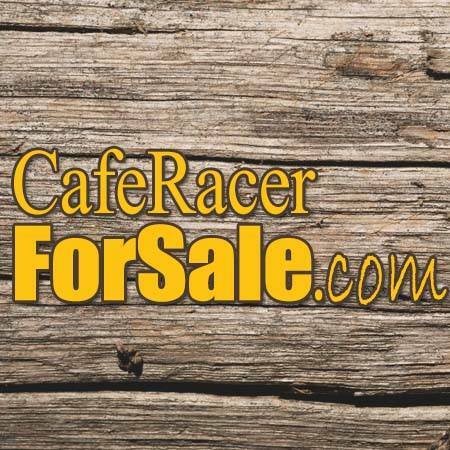 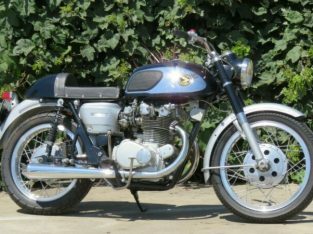 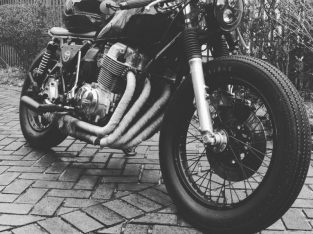 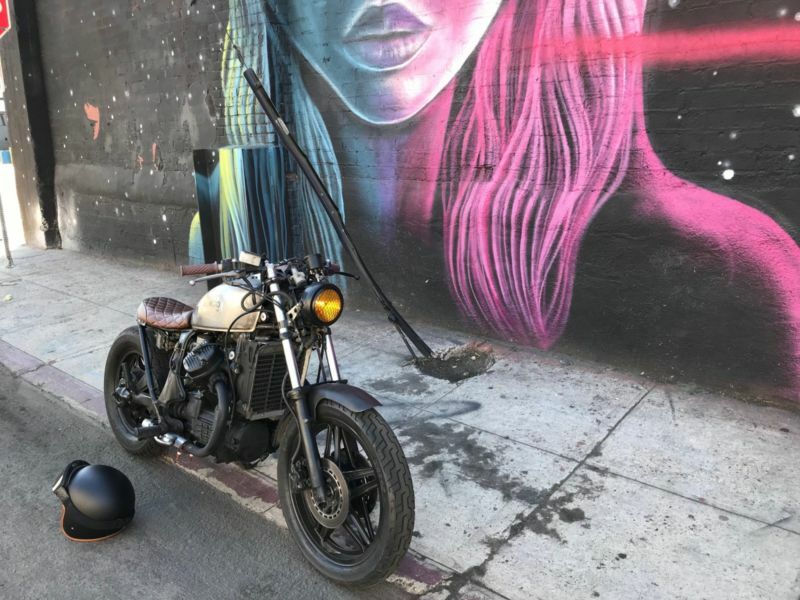 1966 Honda CB 450 – Black bomber Cafe racer!